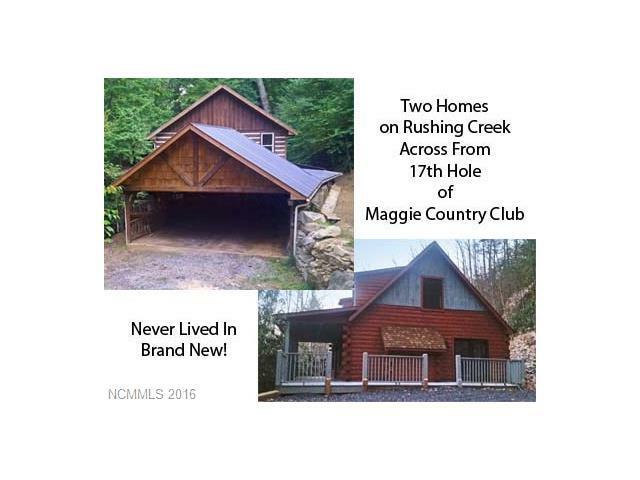 Custom 3/2 log home on 120 ft of rushing creek directly across from the 17th hole on the Maggie Valley Country Club. 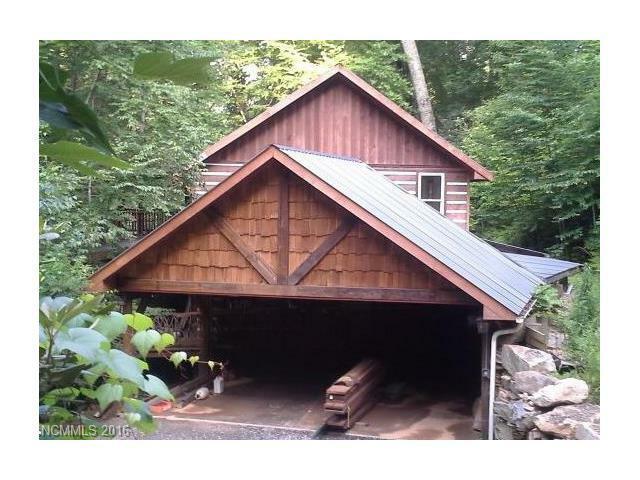 24 ft custom carport w/boulder wall. 6x29'5 stone patio walkway leads to lrg stone patio in rear of home. Designer kitchen w/island. 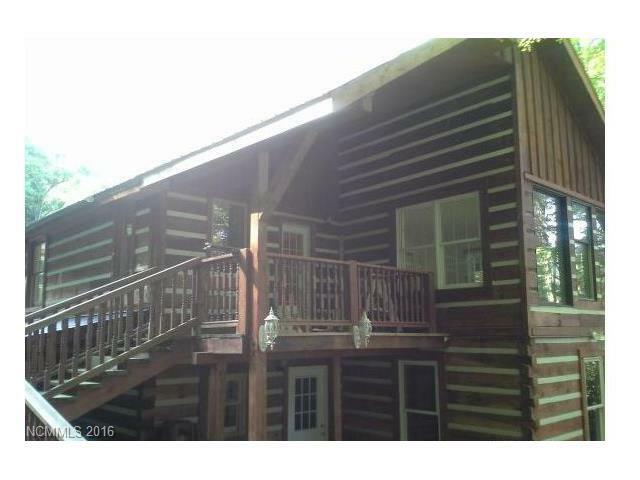 3 possible Mst BDs, custom vine handrails, 3 private covered decks allowing you to enjoy the rushing mt creek. 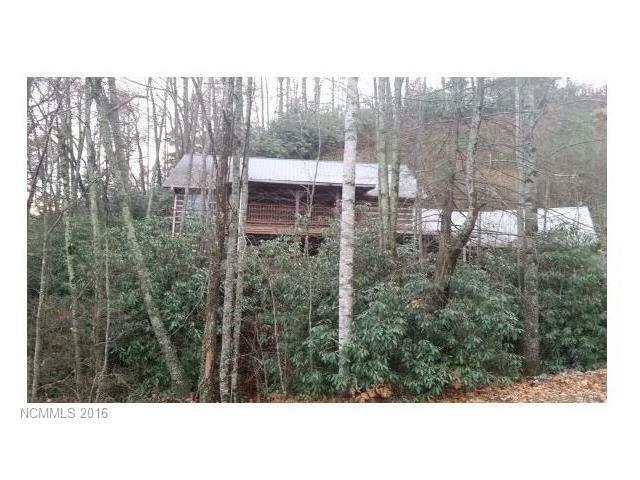 2nd creek front log home has 3/2, huge Master Ste, 8x32 open deck, 8x32 covered deck. Add. PIN:7697-21-8031. Each home is on a 2 bedroom sewer tap. It would cost $810 each to make it a 3 bedroom tap.